For a half century, the Cold War shaped the world. From its obvious consequences in Korea, Cuba, and Vietnam, to its more subtle impact on American culture and daily life, the Cold War was the dominant reality of everyday life. This course will examine the origins, strategy, and consequences of the Cold War from a global perspective. We will look closely at the conflict’s impact not only in the United States and Russia, but also in sometimes unexpected nations across Eastern Europe, Africa, and Asia. Participants will read eye-opening primary documents that illustrate the Cold War’s many complexities, twists, and turns, and consider the latest scholarship interpreting what we now know—a generation after the fall of the Soviet Union. 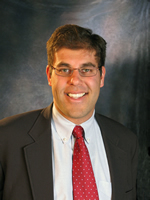 Jeremi Suri holds the Mack Brown Distinguished Chair for Leadership in Global Affairs at the University of Texas at Austin. He is a professor in the University’s Department of History and the Lyndon B. Johnson School of Public Affairs. Professor Suri is the author of five books on contemporary politics and foreign policy. In September 2011, he published a new book on the past and future of nation-building: Liberty’s Surest Guardian: American Nation-Building from the Founders to Obama. Professor Suri’s research and teaching have received numerous prizes. In 2007 Smithsonian magazine named him one of America’s Top Young Innovators in the Arts and Sciences. His writings appear widely in blogs and print media, and Professor Suri is also a frequent public lecturer and guest on radio and television programs. Kate Reed Hauenstein is the International Baccalaureate History teacher and Extended Essay Coordinator at Leander High School in Leander, Texas. She holds a B.A. in History and English from Rice University and an M.A. and M.Phil. (with distinction) in History from Yale University. In 2013, Ms. Hauenstein was selected as a Claes Nobel Educator of Distinction by the National Society of High School Scholars, and she was also recognized as a STAR Teacher by the Leander ISD Educational Excellence Foundation. She is currently working with Dr. Jeremi Suri and two other high school teachers to create an American historiography textbook.